Use the arrow keys to help guide the turtle around the rocks. 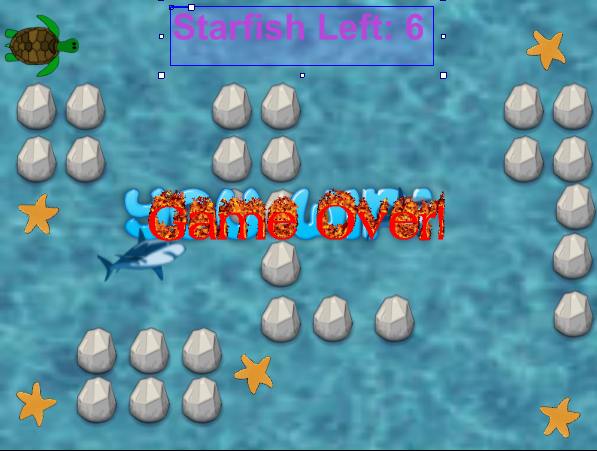 Collect all the starfish to win the game! Watch out for the sharks!